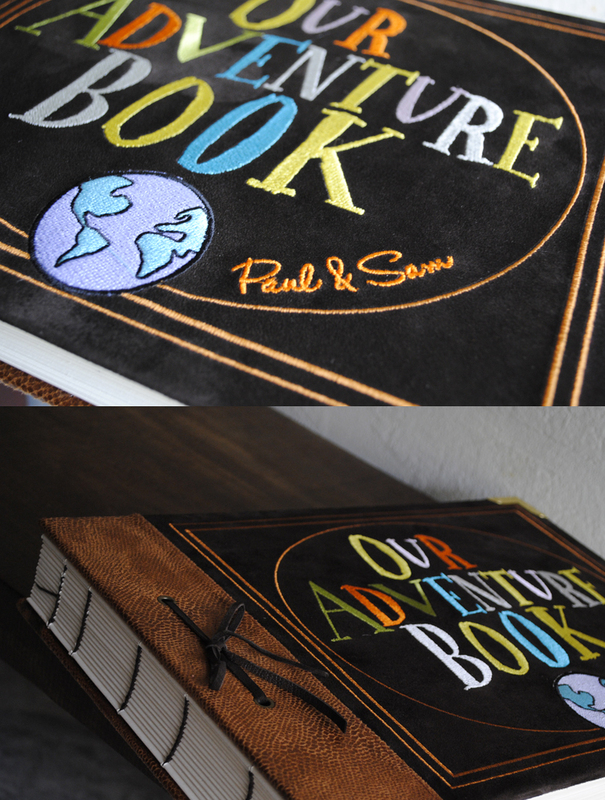 Despite of having problem with sewing machine I managed to deliver this very special book of Paul & Sam "Our Adventure Book". I hope they will happy with the outcome. Travel far far away to California, to be used as a wedding guest book and will be loaded up with pictures, love and happy stories. 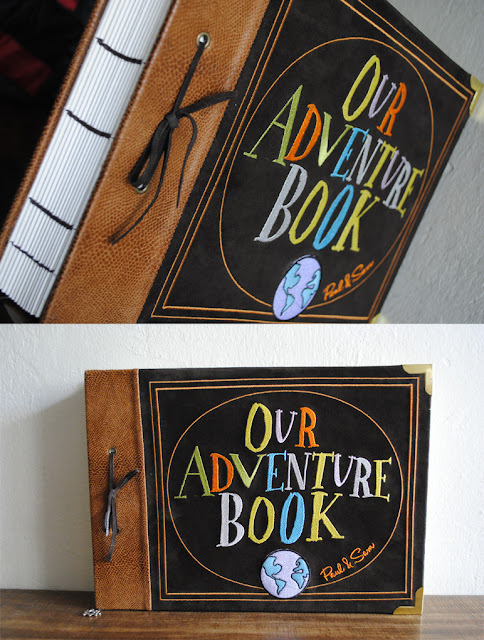 I am on the midst of making a simpler & cheaper version of "OUR ADVENTURE BOOK". ..with silkscreen effect and no custom name". I will do the post real soon so please check me from time to time ya. What kind of stitching did you do for the pages & how did you have only two holes on the front cover and the pages look like 4 holes?? it's actually 6 hole of coptic stitch binding.